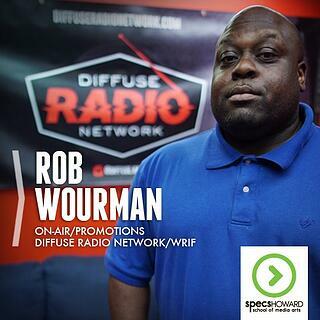 Rob Wourman is working on-air at Diffuse Radio Network and doing promotions at WRIF. He got to where he is with some hard work, dedication and a good sense of humor. Listen to his experiences here at Specs Howard in the Broadcast Media Arts program and even after graduation. Let us know what you think! 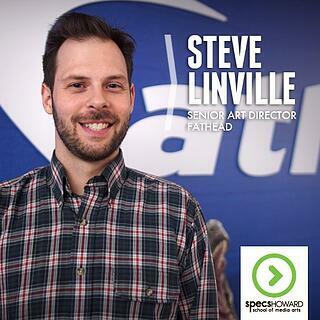 Steve Linville is a grad from our GFX program and he's working as the Senior Art Director at Fathead. It's a cool gig, and he seems to like it. Watch his interview and see what he has to say about his job and his experience here at Specs! 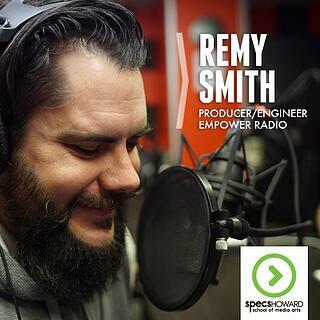 Remy Smith is a Braodcast Media Arts grad, a dad, and the owner of one killer mustache! He's working as a Producer and Engineer at Empower Radio Network and took the time to talk to us about it. Watch his interview and let us know what you think! 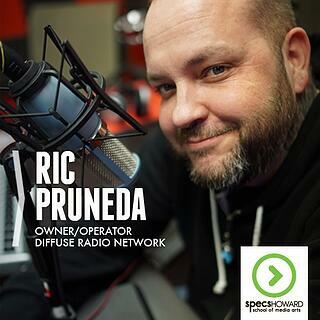 We caught up with Specs Howard Broadcast Media Arts Graduate, Ric Pruneda who started his own online radio station, Diffuse Radio Network. It took hard work, dedication and a good deal of courage to get it off the ground, but he did it! Watch his interview and listen to his experiences here at Specs Howard! Let us know what ya think! 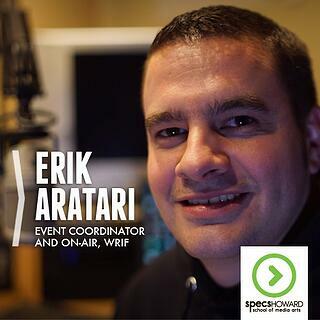 Specs Howard Broadcast Media Arts Graduate, Erik Aratari is working on-air and as the Event Coordinator at WRIF. He gets to meet some of his favorite musicians as part of his job. It's pretty awesome! Check out his interview below. 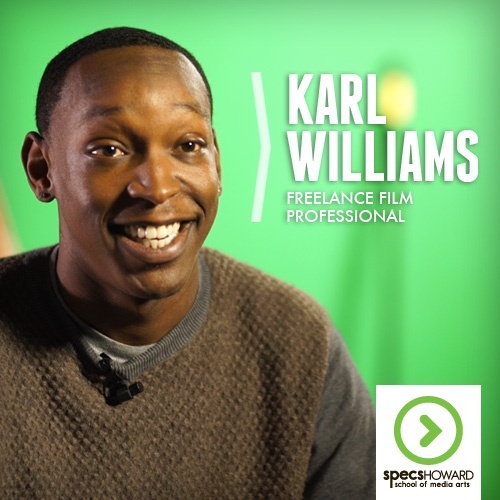 We caught up with Specs Howard Graduate, Karl Williams who's a Freelance Video Professional. His positive attitude and hard work ethic has played a large part in getting him to where he is today. Check out his interview and let us know what you think! 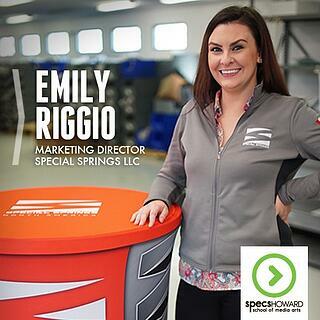 Meet Specs Howard Graphic Design Graduate, Emily Riggio. She's working as the Marketing Director at Special Springs LLC. Hear her talk about her life, her time at Specs and what she's up to now! Comment below and let us know what you think! 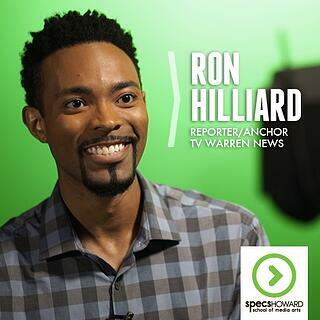 We caught up with Specs Howard Graduate, Ron Hilliard who's working as a Reporter and Anchor at TV Warren News. He was also a contestant on Funny Or Die's America's Next Weatherman. He's a positive, hard working guy! Check it out below.